At the time it seems to be the best souvenir ever. But when you get home, you look at it and wonder what you were thinking when you (I should say “I”) had to have that clock with a picture of Stonehenge on it. It happened after I saw Stonehenge for the first time. I had taken an excessive number of pictures of it. So naturally I went to the gift shop looking for something “unique” to take home. I think I found it when I bought the clock. But is it actually an unnecessary souvenir? 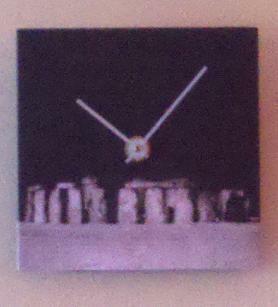 I have my Stonehenge clock hanging on the wall and I like seeing it there. However, when other people see it they have no idea what the picture on the clock is. So it was probably something I didn’t need to buy. This brings to mind another souvenir purchase I made on a trip that I really can’t explain. I bought a charm in Bavaria embossed with a picture of Linderhof Castle to put on a bracelet that had no room for any more charms! However, I resolved that issue later when I bought a second charm bracelet (but now that one is full, too). In addition, I always want one last souvenir when I’m at the airport heading home from a trip. 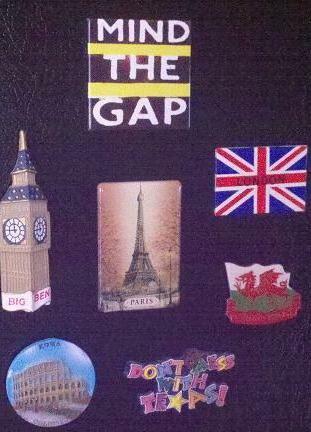 This would explain my extensive collection of refrigerator magnets and key chains. I have trouble resisting these purchases. And now I wonder: am I the only one who has come home from a trip with an unnecessary souvenir? This entry was posted in Travel and tagged clocks, shopping, souvenirs. Bookmark the permalink. I had a snow globe break in my bag. What a mess! That’s happened to me, too. I don’t buy snow globes anymore! I do not think you are the only one to bring home an “unnecessary souvenir,” Meg. (In fact, I wish I would have purchased more “unnecessary” clothing at Marks & Spencer’s while in the U.K)! Lovely post! 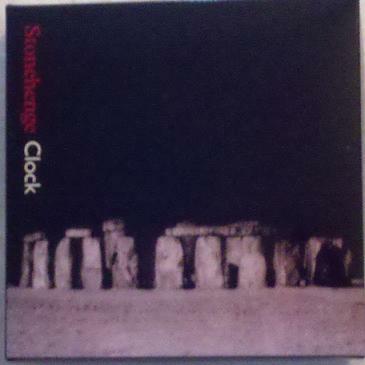 I probably would have purchased the Stonehenge clock myself. That is a fantastic souvenir AND gift! You definitely went for something unique. I think I need to go to New Zealand to get one for myself! I loved the post. I use to buy charms for a bracket that now sits in a jewelry box. It hasn’t seen the light of day in years. Now I just eat my way through Europe and enjoy the extra pounds as my souvenir for a week or so. I like your idea of good food as a souvenir. I would like to bring gelato back home, but since I can’t, I now feel that I should eat as much as possible, just for the memories! I can’t list the number of completely unnecessary souvenirs I’ve collected over the years. I now try to limit this to a christmas tree decoration from each place. Once again, I really enjoyed your blog. Found this entertaining website, thought you might get a laugh out of it. This website is so funny, thank you for sharing it! I need to start looking for souvenirs like these in the future! !